We are just a few days into the new year of 2015 and it is definitely a great start with Funko Pop! Funko has brought a great fun to collecting toys as we have been part of since the original Star Wars Kenner figures. We have attended San Diego Comic Con since the mid 90's and have seen the growth in the con and other conventions around the US and the world. I can say I remember Funko from their early beginnings at SDCC, which had a small booth with Bobbleheads. The booth definitely had our interests in seeing many of our child hood cartoon favorite characters as bobbleheads. As the years have gone on, we have seen Funko increase in incredible popularity and an amazing increase in their licenses. We were huge fans of comics, Star Wars, Marvel, McFarlane Toys, and so much more that it made it difficult to try to collect another line. We loved the Wacky Wobblers, but we could not add them and regret it now. Then Funko created the Pop! line that drew a great interest and we saw the growth of the company and the SDCC booth grow very quickly. It has become one of the most popular booths where the line never stops all weekend long. We did buy a few Funko Pop! figures here and there, but have become FunkoFunatics the last couple of years. I love the Pop! line because of the unique look to the figure and the creativity in their sculpts. It also helps when they have acquired almost every possible license out there in everything we love. We have become great fans in the Funko Pop! Star Wars, Marvel, DC Comics, Pop! Asia, and of course Disney. The newest series to join the Pop! Disney family is the Lilo & Stitch series that was just released in the new year. Funko had released Stitch a couple of years ago and it has been great to see Lilo among a few other amazing figures. Joining the original Funko Pop! Disney Stitch #12, Funko has released Lilo, Lilo's homemade doll Scrump, Stitch 626, and Hot Topic Exclusive Elvis Stitch. 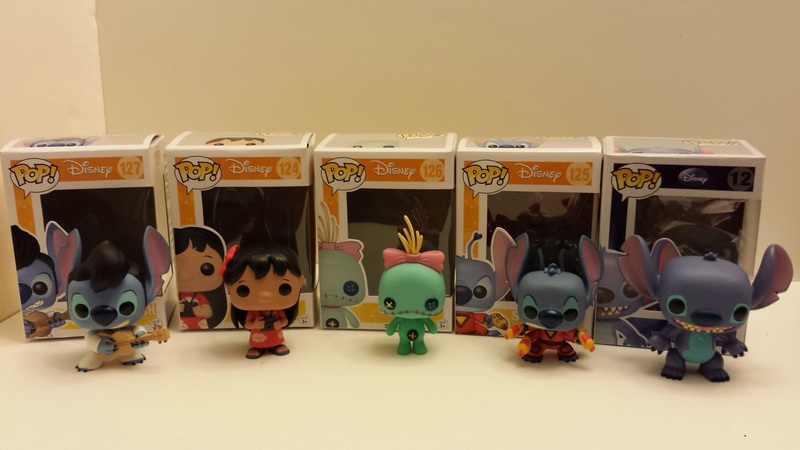 With the original release of Stitch, we are glad to finally see Lilo in Pop! form. 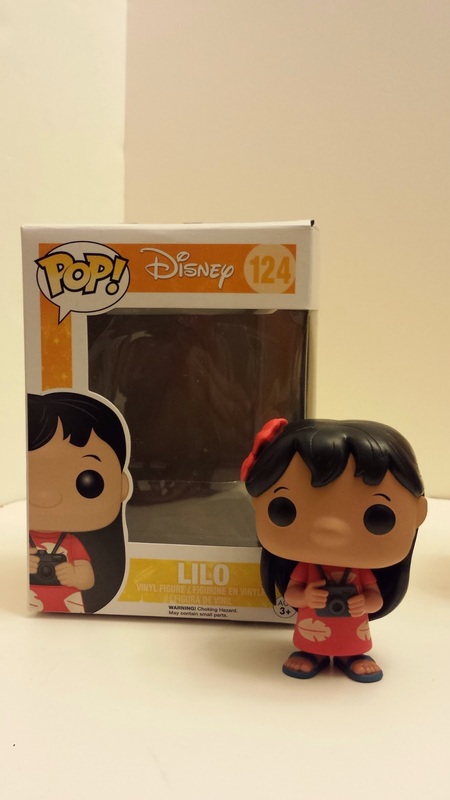 Lilo is Funko Pop! Disney #124. Lilo is a great addition to the series and a great sculpt with her beautiful Hawaiian style dress and sandals and she is wearing a red flower in her hair. Lilo is also holding her camera as we remember in one of our Disney favorites, Lilo & Stitch. The Lilo Pop! figure will be a very popular figure to join the Disney collection. The packaging is standard Funko Pop! packaging with a picture of Lilo on the front and sides and the complete Lilo & Stitch series on the back. Funko Pop! 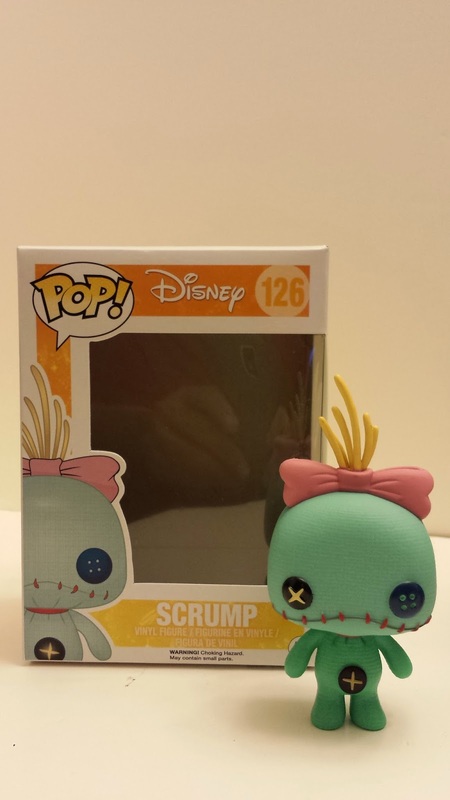 Disney #126 is Scrump. Scrump is Lilo's homemade doll that she truly loves. We were originally only going to stick with Stitch and Lilo, but once we seen Scrump, we needed to add it to the collection. The figure is an amazing sculpt with great colors and detail. The packaging once again is standard with the picture of Scrump on the front and sides, and the complete series in the back. 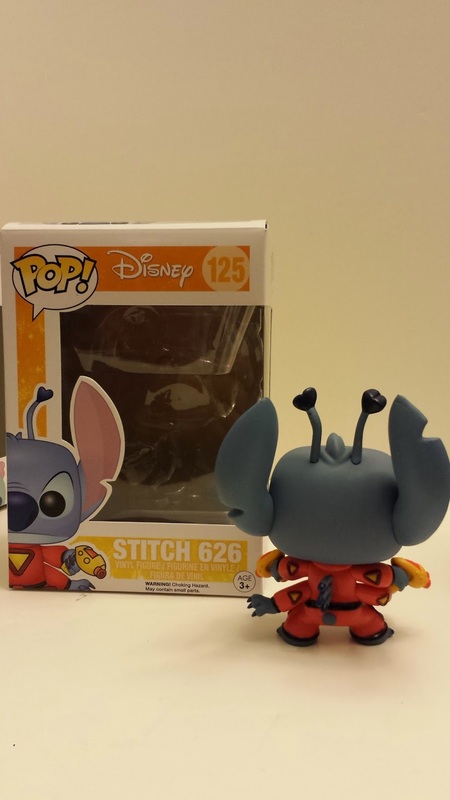 We were greatly satisfied to have the original Stitch, but Funko has taken Stitch to another level with the release of Stitch 626 in his true alien form. 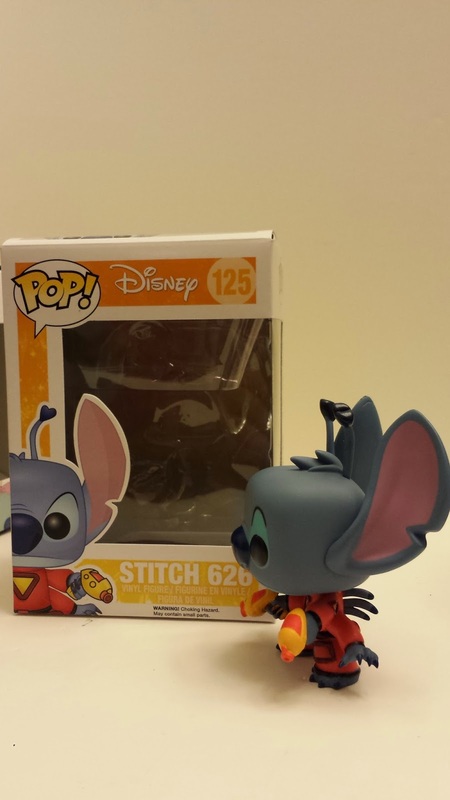 Stitch 626 is Funko Pop! Disney #125 in the collection. Thanks to Experiment 626, we see Stitch and his four arms and very cool space suit and guns. Stitch 626 is another impressive sculpt with great colors and details. We love this figure! The packaging is again standard with pictures of Stitch 626 in the front, sides, and the complete series on the back. Where do you find the majority of your Funko Pop! figures? Thanks to Hot Topic this last year, we have been able to stay on top of our Funko Pop! addiction. Hot Topic has definitely become a great store in finding the newest Pop! figures and the return of many figures that many people may have not bought the first time around. Our Hot Topic has an impressive display of figures, which helps to keep the shelves always full and ready for the new figures. Hot Topic has definitely become one of the best retailers for Funko Pop!, which is why they have released some incredible exclusives. 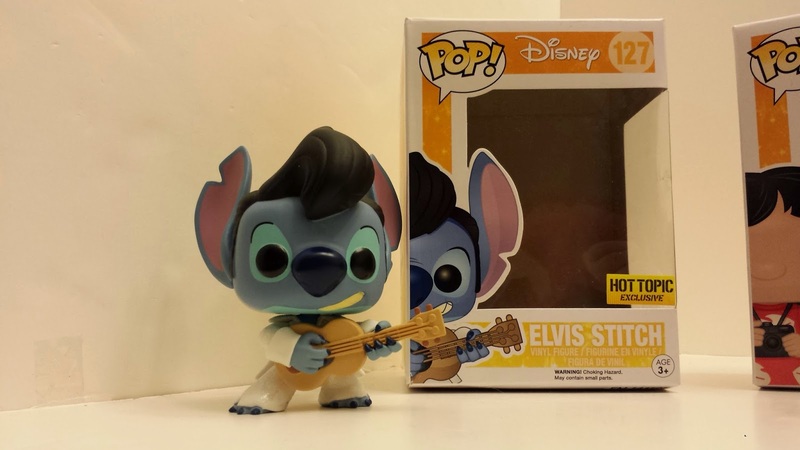 The newest addition in their exclusives is Elvis Stitch. 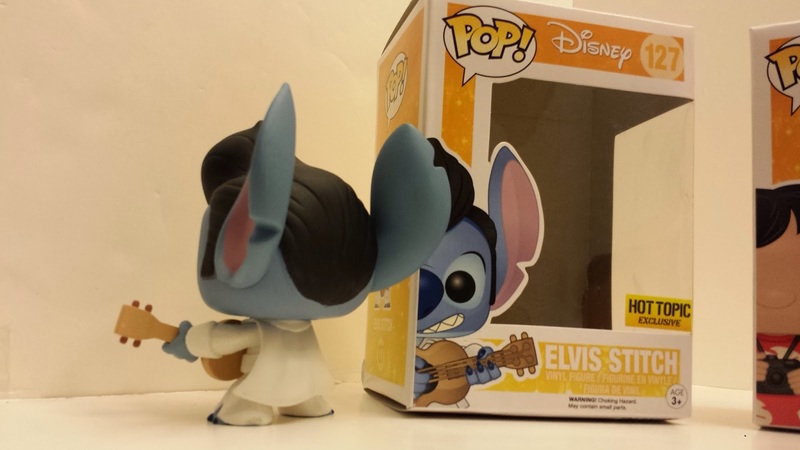 What could be more fitting for Lilo & Stitch, but to have an Elvis Stitch? With the soundtrack that contained a few songs by Elvis and of course the famous Stitch as Elvis in the film, it had to be created. 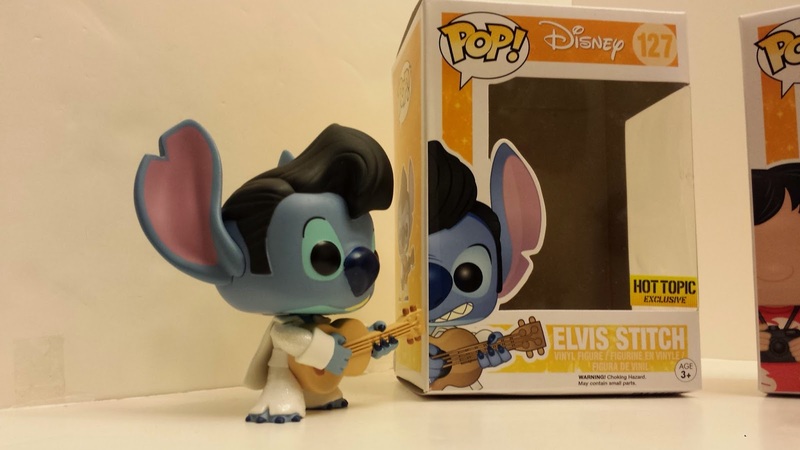 The Hot Topic exclusive Elvis Stitch is Funko Pop! Disney #127. 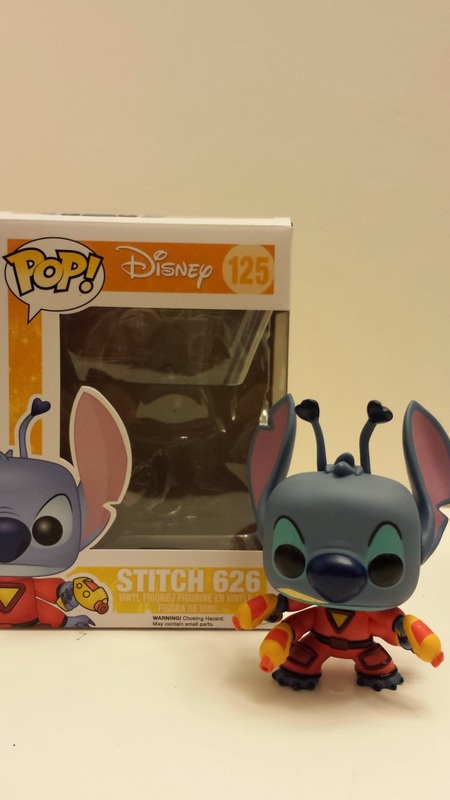 Elvis Stitch is another great figure in the Lilo & Stitch series. The sculpt is incredible with great detail in his hair and the classic white suit and cape that Elvis wore along with the guitar. Stitch also has the sideburns. The packaging to Elvis Stitch is standard with a picture on the front and sides and the complete series on the back. Funko and the amazing designing team has once again come through with another amazing series to join the Pop! collection with the Lilo & Stitch series. 2015 has barely begun and it is a great start Funko fans! We are sure that Disney fans will be greatly impressed with this series.